The amazing new gyroscopic disc! Grab the string, give it a spin and let the fun begin! 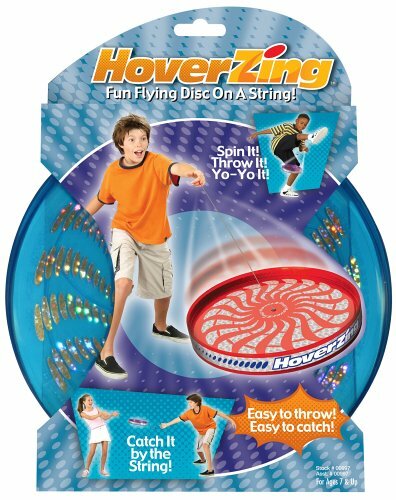 Based on gyroscopic principles, the HoverZing spins on any axis, allowing you to do tricks you simply cant do with an ordinary Frisbee*. Play solo or with a friend...the HoverZing fun never ends! * Frisbee is a registered trademark of Wham-O Mfg. Co.